AICSYS Inc. a primer IPC manufacturer and system solution provider for Rugged Industrial Computer Hardware since 1988. As parts of AICSYS Inc continuing value add services, AICSYS is offering the extensive labeling and custom OEM/ODM Color Branding Service on our Industrial Rackmount and Wallmount chassis and other products to give your Company a unique diversifiable edge and market awareness. It could be simply done by changing the color or shape of the front panel door of your industrial chassis for instant differentiation. AICSYS has supported many of our customers simply by change the color of a chassis such as multi-colors for body work by different method of painting jobs or powder coating. It would also be done with LOGO by silk screening, special laser engraving, adhesive sticker or change original AICSYS Inc multi-color lockable door panel to any Pantone or RAL color to mix, match and custom re-design to your own specification. 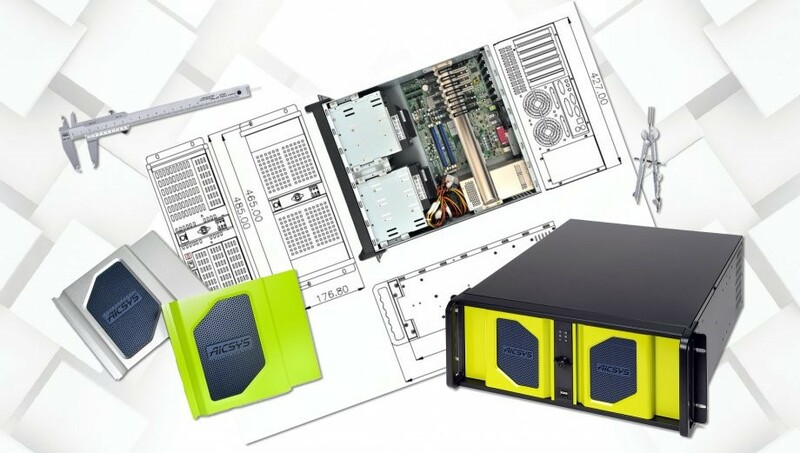 The Chassis sample could be seen in AICSYS Inc. website for Industrial Rackmount or Wallmount chassis models. Ex. RCK-203BA, RCK-308MA, RCK-407MT and WMC-402M etc. It is a very cost effective way to diversity and differentiate yourself from rest of IPC market and only cost you a few dollars. AICSYS works with our customer each steps of the way by providing countless of options for value added OEM/ODM service. Working together by combining with our customer requests or ideas, we could enable and achieve the unique appearance of a product for merchandise branding. Exterior Color: Mix or Color-matching to meet your specifications or industry standards for Logo or Chassis surface. Painting Method: Customization to meet your needs, including paint selection, powder coatings, layers and sealants, etc. Decoration for Front Panel: silk screening, laser engraving, etching and special adhesive stickers etc. Consulting services to create a distinctive new look. Contact AICSYS Inc for more details.